There are certain things in our childhood that make us fans of what were are today. Those shows and movies keep a special, nostalgic bond with us no matter how much better today’s versions are produced. 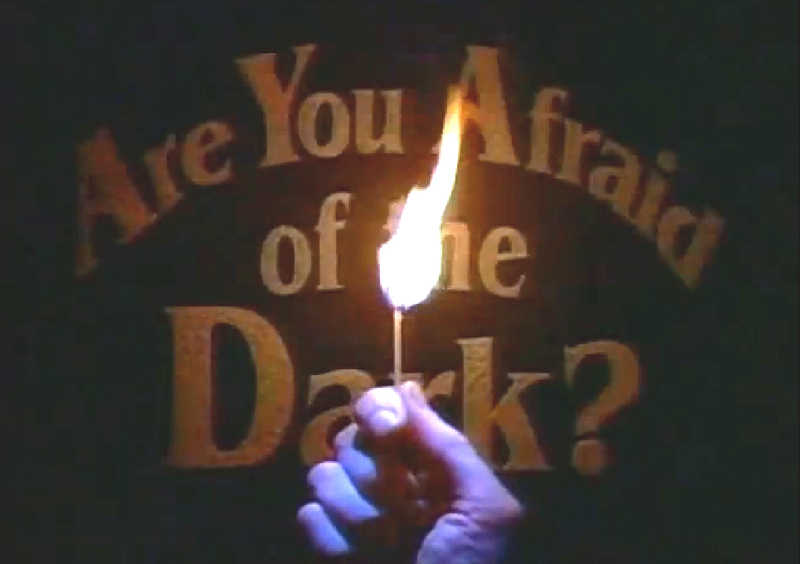 Such is this case with Nickelodeon’s Are You Afraid of the Dark?, a children’s TV series from the 90s about a group of kids from different walks of life telling ghost stories around a campfire every week. It aired on the 9:30pm slot of SNICK, Nickelodeon’s Saturday night TV block for adolescents. This led to many of us moving on to Gilbert Gottfried’s USA Up All Night and Joe Bob Brigg’s MonsterVision to get our more adult horror fixes until we got driver’s licenses and forgot that we even had TVs on the weekends. Series Plot-line: The Midnight Society learns of Kristen’s fear of clowns. fighting her fear, and unrelenting teasing by the other members, she stays for a tale about a sinister clown. 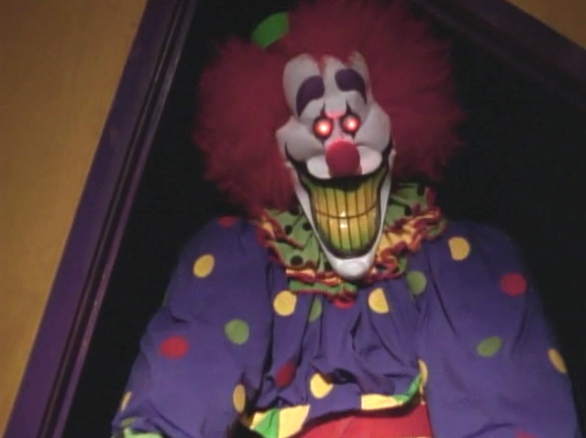 Segment Plot-line: On a bet, local douchebag Josh enters a funhouse and takes the nose of Zeebo the Clown, a figure created in honor of a clown that had perished in a fire that consumed the funhouse before it. It’s not as funny when Zeebo returns, looking for his nose. Scene of Awesomeness: Zeebo inflates a balloon under Josh’s door with the slogan, “GIVE IT BACK!” until it pops. Yes, it seems so bland and simple, but the ridiculousness of how scary it is makes it awesome. Scene of Ridiculousness: In the same theme, Josh opens up the casserole dish from the microwave to find it filled with burnt cigars. Not quite as scary. Maybe it’s due to lack of a loud noise. Actors/Actresses of Note: Josh (played by Christian Tessier) looks familiar, but so does every male ginger, from Ron Howard to Seth Green to Jackie Earle Haley. After the problems with the first episode, AYAOTD really got underway with “The Tale of the Laughing in the Dark”. 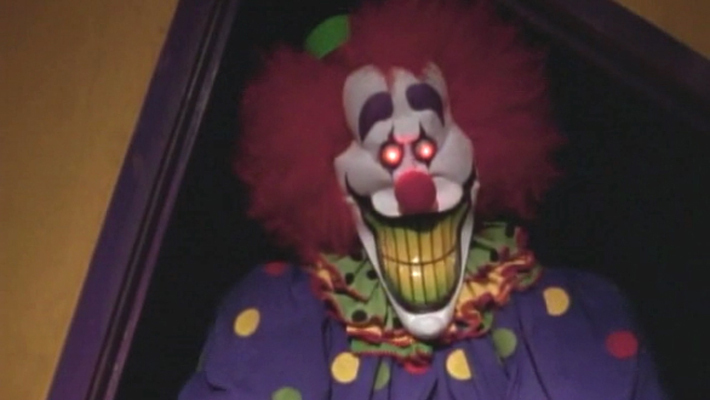 Clowns are a creepy standard in horror. They’re supposed to be happy and fun-loving, so the idea of a malicious ghost clown can only mean terror. Hearing maniacal laughter when you’re in fear for your life is an added bonus as well.